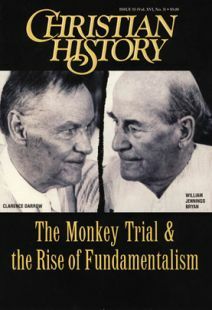 THOUGH Clarence Darrow’s examination of William Jennings Bryan is famous, less well known is Bryan’s examination of Darrow. After the trial, for the sake of the press alone, Bryan and Darrow switched roles. Darrow: I do not know of any description of God as in the Bible . . . . As to the origin of the universe and what is back of it, I do not pretend to know. I haven’t the intimate acquaintance with it that Mr. Bryan has. Darrow: I believe there is much value in the Bible, but I do not believe it is written or inspired by God . . . . Portions in it are . . . sublime, like such portions of any other great book . . . . I might even say this of Mr. Bryan’s In His Image, if I could find a sublime part.